Remember when a Barnes & Noble, Blockbuster, or Office Depot could be found in just about every shopping center in America? Like these troubled chains, independent jan/san focused distribution is undergoing major changes that could someday make it as irrelevant in the marketplace as brick-and-mortar booksellers, movie rental houses, and office supply stores. In 1991, there were 24,000 independent jan/san distributors and today that number is down to approximately 4,000. Twenty years ago, local or regional firms that specialized in jan/san dominated the industry; today, traditional jan/san distributors find themselves competing with national MRO (maintenance, repair and operations) firms and even Amazon. “The distribution side of the industry has been under attack for a number of years now, and it continues to evolve and change,” says Mike Schaffer, president and CEO of Tornado Industries. 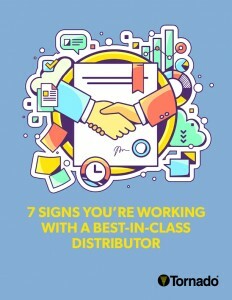 Curious whether your distributor relationship is truly delivering? Ask yourself these seven questions. Those wanting to find a scapegoat for the deterioration and dilution of jan/san distribution can start by looking at Google. The Internet gave end users’ instant access to unlimited information. This allowed them to quickly and easily research products, suppliers, pricing, and more to reach informed decisions on their own time and without the help of a salesperson. The Internet also opened the world to end-users. Buyers were no longer comparing apples to apples, but instead could compare apples to Amazon. In the new global landscape, distributors who didn’t add substantial value to the channel were quickly exposed and began losing business at a rapid clip. Many were forced to consolidate to stay afloat. “Part of the changes were perhaps unavoidable, but to some degree, and it isn’t my intent to be unkind, they were self-inflicted,” Schaffer says. 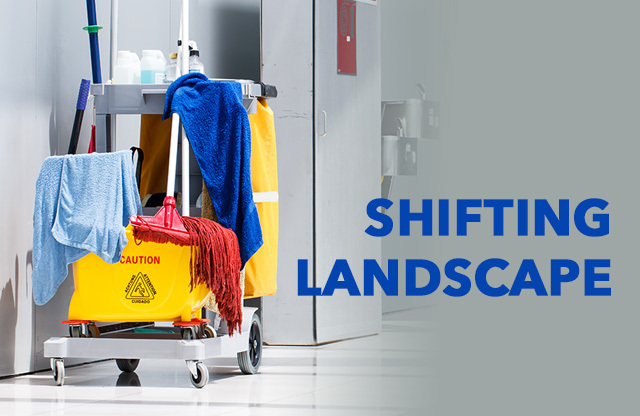 By the late 1990s, many distributors were relying heavily on manufacturers, Schaffer says, and handing off tasks they once handled—demos, sales, installation, and service, for example. This opened the door for new players to enter the market. Generalists like MROs could just as easily rely on manufacturers for assistance to gain a foothold in the jan/san channel. It also allowed price-driven vendors to peel away market share. In addition to the challenges presented by the Internet, the 1990s also saw a shift in the jan/san buyer. Decisions were being made less often by the people actually using the products and more frequently by white-collar executives concerned with budgets. Jan/san distribution continues to grapple with competition and consolidation, leaving many wondering whether the industry will wither and die or find a new way forward. “The industry has, and continues to go through considerable change, and you can look at as if the sky is falling or you can choose to view it as exciting and a time that is full of opportunities,” Schaffer says. Although face-to-face service is no longer an important selling point for many consumers, they do appreciate vendors who offer product knowledge and industry expertise. Customers don’t want a salesperson that is just an order taker (after all, they can place their own orders online). The real value is a salesperson who’s a true partner in making their operations more effective and efficient. Customers not buying from Amazon or MROs generally expect an exemplary level of customer service from jan/san distributors. Customers want abundant information to help them make fact-based purchases that will boost their bottom lines or provide other tangible benefits. 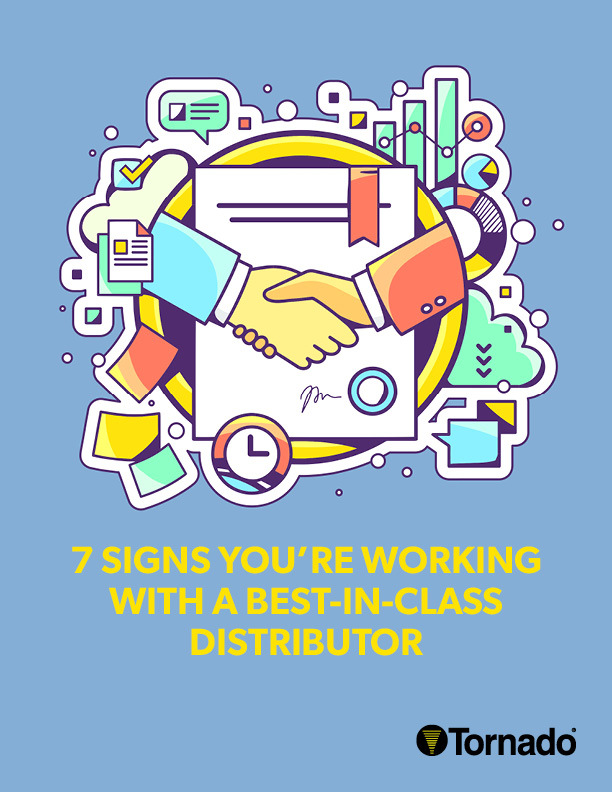 They want their distributors to not simply react to their needs, but anticipate them and proactively offer solutions. They expect their vendors to stay on top of trends and show them new products that will solve future challenges before they arise. 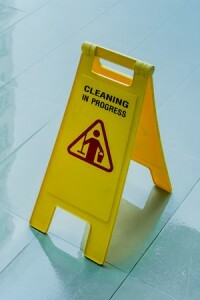 Consultative selling is no longer an option for distributors, it’s a necessary tool for survival. Customer service isn’t enough in today’s global marketplace. Successful distributors are also those that make it as simple as possible to do business with them online. After all, one of the biggest reasons people buy a wide variety of products from Amazon is convenience. Unbelievably, some jan/san distributors still don’t have websites and even fewer offer robust online shopping. Perhaps less than half provide an option for mobile shoppers. Studies show that consumers who can’t find and buy what they want on a website will simply move on to another site. Only those distributors with comprehensive, user-friendly e-commerce sites can continue to compete with massive online retailers. Like other B2B industries, the jan/san market is getting younger. Millennial buyers, ages 20 to 35, have different purchasing patterns than their older counterparts. The use social media and vendor websites to conduct research, and are accustomed to purchasing online (often with a smartphone or tablet).